Thomas Jefferson was a prominent figure in American Revolutionary War, one of the authors of the Declaration of Independence (1776), 3rd President of the United States in 1801-1809, one of the founding fathers of the state, an outstanding politician, a diplomat and Enlightenment philosopher. The main events of his presidency were the purchase of Louisiana from France (1803) and the Lewis and Clark Expedition (1804-1806). Jefferson founded the University of Virginia and created its first program. 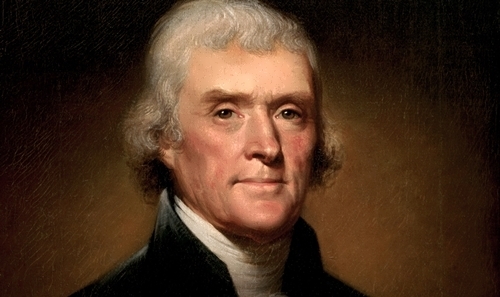 Jefferson was governor of Virginia (1779-1781), the first US Secretary of State (1789-1795), Second Vice-President (1797-1801) and the third president of the United States (1801-1809). Jefferson and Martin Van Buren were the only American politicians who occupied successively the posts of Secretary of State, Vice-President and President. He was a versatile scientist – agronomist, architect, archaeologist, paleontologist, inventor, collector, and writer. As an architect, Jefferson designed the Capitol of Virginia, University of Virginia and his own Monticello manor. He is widely known as one of the main founders of the doctrine of separation of church and state. James Abram Garfield was the 20th US President (March – September 1881), versatile self-taught prodigy, Republican Party activist. He is the only president in US history elected to this position when he was a member of the House of Representatives. 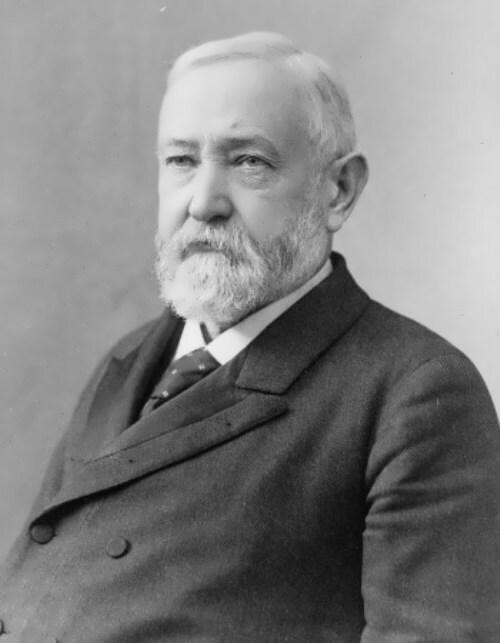 He was seriously wounded, three months after taking office and died two and a half months later. 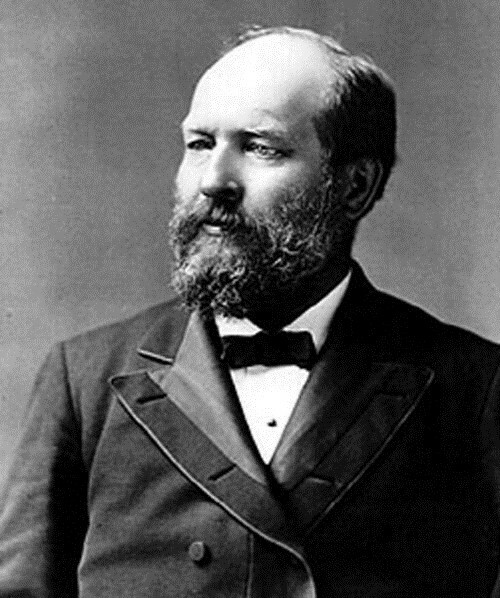 James Abram Garfield was born on November 19, 1831 in a log cabin near Orange, Ohio. He grew up on his family’s farm. Garfield graduated from Williams College in Massachusetts in 1856. In 1858 Garfield married Lucretia Rudolph. They had seven children. He worked as a boatswain, a teacher at the folk school and finally became a teacher and director of one of the institutions of higher education. He also was engaged in the legal profession and was a minister in the Ohio Senate. When the American Civil War began in 1861, Garfield formed a volunteer regiment in Ohio and took part in military operations in Kentucky. Then he was the Chief of Staff and on January 11, 1862 he was promoted to brigadier general. Dwight David Eisenhower was an American statesman and military leader, US army General (1944) and the 34th president of the United States (January 20, 1953 – January 20, 1961). His two terms in office were a time of peace and prosperity. Eisenhower was the only postwar president who received more positive than negative ratings for his entire time in office. 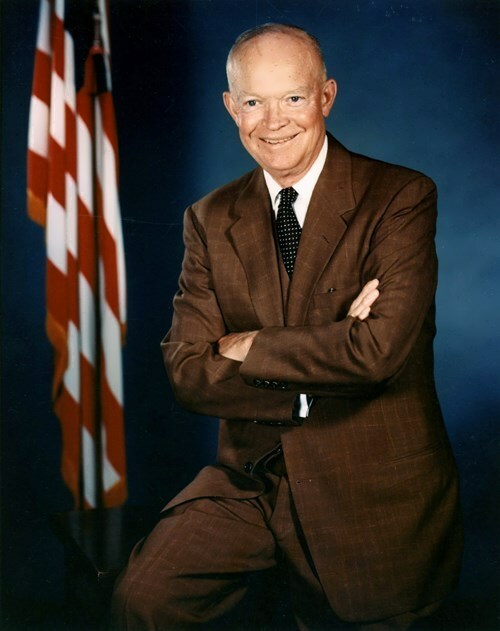 Eisenhower was born on October 14, 1890 in Denison, Texas. He was the third of the seven sons. Eisenhower was called Ike from an early age. In 1915 Dwight graduated from the U.S. Military Academy at West Point, New York. In 1916 he married Mamie Geneva Doud. They had two sons. During World War I Eisenhower commanded a tank training center. After the war he served in the United States, the Panama Canal Zone, Europe, and the Philippines. 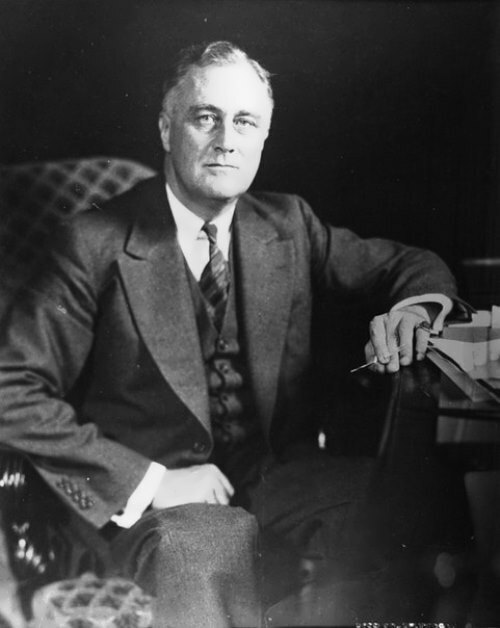 Franklin Delano Roosevelt was the thirty-second president of the United States, who led the nation out of the Great Depression and later into World War II. Before he died, he established the United Nations. He was the only president elected to the office four times. Franklin Roosevelt was born on January 30, 1882 at Hyde Park, New York. He was the only child of James and Sara Delano Roosevelt. When Franklin was born, his father was 51 years old and his mother was 28. At the age of 14 he went to Groton School. He studied in Harvard University where he was an editor of the Harvard newspaper. Despite his mother’s opposition, Franklin married his cousin Eleanor on March 17, 1905. The couple had six children. In the same year he entered Columbia University Law School. He became a lawyer and entered a clerkship in the Wall Street firm of Carter, Ledyard and Milburn. 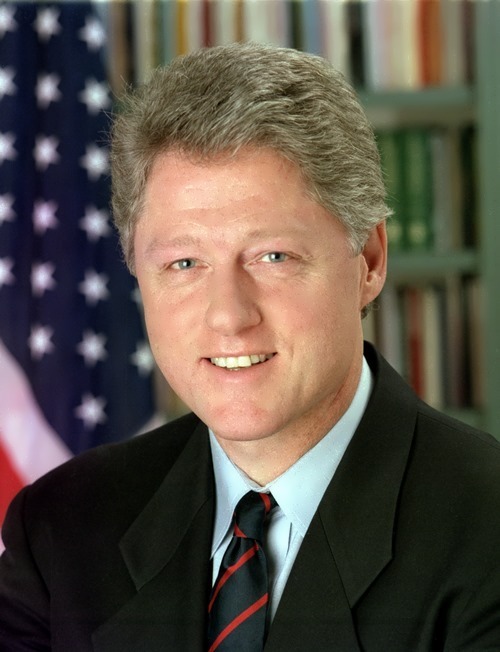 Bill Clinton was the 42nd president of the United States, who served two terms, from 1993 to 2001. His wife, Hillary Clinton was the First Lady during that time, and was a Democratic Party candidate in the 2008 presidential elections. William Jefferson Blythe III was born on August 19, 1946, in Hope, Arkansas. His father died in an automobile accident before Bill was born. His mother, Virginia Dell Blythe, later married Roger Clinton. At the age of 14 Bill adopted his stepfather’s surname. At school, Clinton was one of the best students and, in addition, he was a leader of the jazz band, where he played the saxophone. In July 1963 Bill as a member of the delegation of the National Youth Organization, took part in a meeting with John F. Kennedy. In 1968 Bill graduated from Georgetown University in Washington, D.C. Then he attended Oxford University in England. In 1973 he graduated from Yale University. On October 11, 1975 Clinton married Hillary Rodham, a fellow graduate of Yale Law School. Hillary Clinton was the first wife of a sitting president to be elected to public office. Their only child, Chelsea, was born on February 27, 1980. In July 2010 Chelsea Clinton married Marc Mezvinsky. Their daughter Charlotte was born on September 26, 2014. Millard Fillmore became the 13th president of the United States after the death of President Zachary Taylor in 1850. Millard Fillmore was born on January 7, 1800 in Locke Township, New York in a poor family. Fillmore was largely self-educated and self-made. At the age of 15 he worked in a cloth factory. 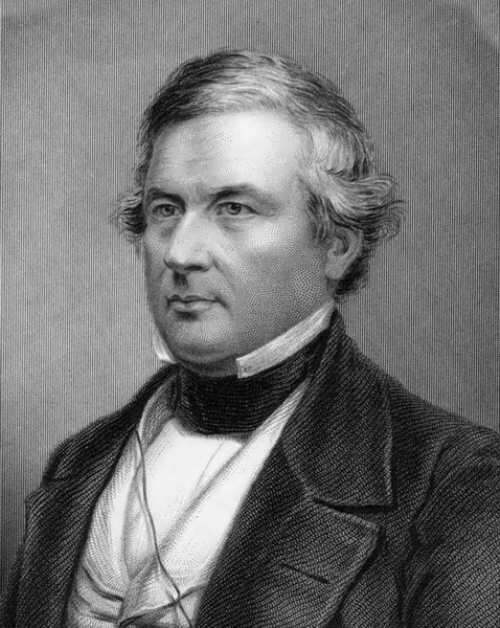 Fillmore moved to Buffalo after attending an academy at New Hope and studying law briefly under a local judge. In 1823 Millard became a lawyer. In 1826 Fillmore married Abigail Powers, the daughter of a clergyman. They had two children. Abigail died in March 1853. In 1833, Fillmore entered the House of Representatives as a member of the Anti-Masonic-National Republican coalition. A year later he joined political party the Whigs. In the 1830s and 1840s he was a member of the U.S. House of Representatives. In 1846 he was elected comptroller of New York State.